Let us pause for a moment and look at our lives. At ourselves. And I’m not being spiritual or religious here. From a very materialistic point of view, there is no doubt that the way we live our lives is defined by the way we harness energy especially electrical power. The houses we live in are made of concrete, brick and wood made in cement factories and brick kilns using thermal and chemical energy. The food we cook and eat today uses water and fuel which is either wood or gas energy, the clothes we wear are made in mills running on electrical power and the means of transportation we use all run on chemical converted electrical energy. Thus, every aspect of our life today, more than ever in human history, is defined by the way and to the extent that we consume electrical energy. But, how many of us, in the flow of our daily lives, get time to think the question - where does this power come from? Most of the power that drives our life today globally (more than 75%) comes from burning fossil fuels viz coal and oil. And well, it won’t take more than half an hour of Google search to reveal that not only are these fuel sources the biggest source of global warming and climate change in the last few decades, but also that this fuel will run out in the future. Though, it won’t happen in our lifetimes, but if we do care about our coming generations, we must start to think about changing the way we consume energy so that we can continue with the way we live and the road doesn’t end for many millennia to come. Well, the answer greets us every day but we have been too busy to notice. The sun remains the greatest source of energy on the planet but it is so ironic that despite possessing all the necessary knowledge about how to use solar energy to meet all our energy needs, globally, solar energy doesn’t form even 5% of all our energy consumption. And when it comes to our country India, its a classic case of missing the bus and the train. India remains one of the top five nations when it comes to overall solar radiation and the intensity of solar radiation incident on our land area. It simply means we have more than enough sunshine round the year in many places which if not wasted, can light up almost the entire country. So, the question is – why haven’t we done it? Firstly, the coal based power industry continues to run on steroids with the financially bleeding electricity boards (yup, the ones that provide us electricity in our homes, factories and offices) continuing to provide cheap electricity to us that is partly subsidised by the governments (off course for vote bank). The remaining losses to the electricity boards happen courtesy massive transmission and distribution losses (almost 35% in India) and theft of electricity due to zillions of illegal connections and faulty meters. Secondly, while the cost of setting up a solar power plant is higher at present, scores of studies have shown these costs can be brought down once economies of scale are achieved and this will directly result in the prices of solar power coming down as well. While currently, the prices at which solar power is being sold by solar power producers to the state distribution companies is around Rs.7-9 per kWh as against Rs. 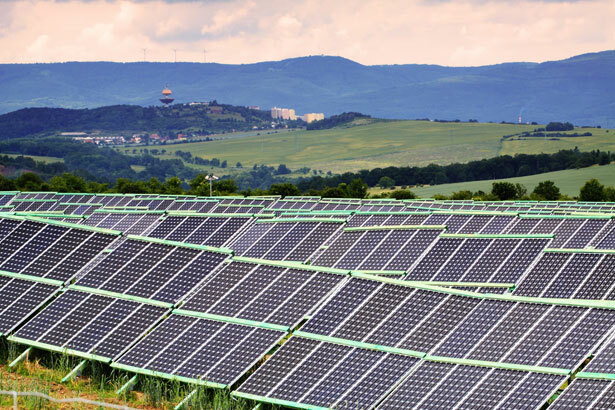 3-4 for coal based power, it has been estimated that if the government can support the solar power sector for the initial few years in terms of subsidies (instead of giving wasteful subsidies to distribution companies), the cost of solar power could come down to the level of coal within 5 years. Thirdly, the myth that the land areas required for solar power are much more than coal based power continue to plague the sector. 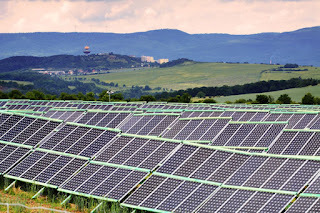 A recent study by two professors from the Indian Institute of Science (IISc) Bangalore published in the journal Current Science shows that of the total waste and uncultivable land area in India, only 4.1% is required for solar power to meet the country’s entire power needs by 2070. Yes, not just 5-10% needs but the entire power requirement of India can be met by solar if only certain flaws in the system can be set right. Hence, it all boils down to certain things. All state governments will have to find a way to divert the massive subsidies paid to the financially crippled state electricity distribution companies to the solar producers in terms of higher tariffs in the initial 5-10 years of operation so that in these 5-10 years, economies of scale can be achieved and the costs of power production can come down to the level of coal. Then, it is critical, that massive initiatives are launched and current programmes expedited to bring about private players in transmission and distribution businesses to stop the rampant T&D looses and electricity theft in the country. This singlehandedly can drastically reduce the financial losses of the distribution companies. Finally, central and state governments must make much larger targets (upto 100,000 MW production capacity and above by 2040) and award projects to solar power producers through open transparent auctions. But, that doesn’t mean that we as individual consumers can get away by lambasting the government and continuing with business as usual. The single greatest fact (PLEASE READ FOLLOWING VERY CAREFULLY) that will come as a shocker to most of us is that as compared to a diesel generator that runs our offices, homes and markets during power cuts, a roof top solar power installation costs 30-35% less over a 10 year usage cycle. In most of the housing societies and commercial buildings today, the costs of power backup for diesel run generators is in excess of Rs.13 per kWh (especially after the recent diesel price hike) whereas for a rooftop solar installation, it is not be more than Rs.9-Rs.10. And we continue to pay more to our society owners and office landlords when a little bit of awareness can result in greater profits for everyone. According to a study, it has been estimated that if only the government can subsidise roof top solar power equipment for the equipment producers (instead of subsidising diesel as is done today) by just 30% of cost of production, then roof top solar can actually replace diesel run generators across industrial, commercial and housing establishments in most parts of India within 15 years. And I must point out that some critics and even some experts point out that solar energy is only available during the day and during rainy and cloudy skies it becomes useless. If we do a bit of googling, we’ll come to know that battery storage solutions are available which can easily charge invertors and other chargeable electricity solutions that can run during night time and cloudy days. It is only in places where rainfall is extreme where there would be a problem in relying on roof top solar systems during monsoons. In essence, we, as aware members of the society, need to find some time out of our ‘busy’ schedules and push for finding out as to how can we shift towards the more cheap and mush more sustainable path of solar energy driven development which can improve the overall profits and economic efficiency of individuals like us and the nation as a whole. We can’t miss the train this time else the ticket might become too expensive in the future. Excellent Points! It all comes down to the political will.. I guess we improved a lot. Last time I had the data of almost 50% losses in T&D. Also T&D losses and theft are independent of kind of source of energy. So it is wiser to put up small small solar systems in a group of houses (economically better than roof-top) rather than distribution. Yes, it is the time to come out of our busy schedule but not for the sake of power problems. We need to target the Navel of a body who has 20 corrupt hands and 10 mindless heads. THE RAAVANA would fall down eventually.. the master of all the problems. Our politicians can be directly referred to Mr Malya who has best air hostesses and pilots but can't make the profits. The leader is one who creates more leaders to take accountability and not to act just like a BABU who plays with the budget available. Our population has grown from Millions to Billions but the only 3 basic infrastructure what govt is supposed to provide (roads, electric power and water) are still not made available. Rest everything mango people manage for their own some how. There are not at all sufficient initiatives/ alternates to keep the pace with the ever growing population. We have managed to squeeze ourselves till now.. don't know how much more? Lastly.. God bless ANUPAM !! Excellent analysis of the situation.Since the inception of our technical education we were taught that solar power is less "efficient" than the conventional sources.But recent development shows that it can fulfill our daily energy requirements,but the lethargic government of India doesn't give a damn they will keep using the conventional resources until they get exhausted.